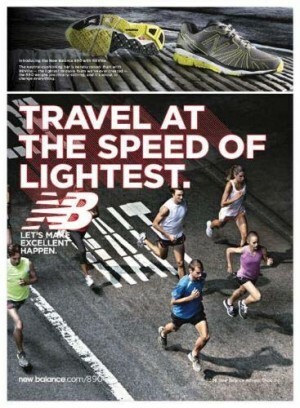 The fully-integrated campaign launches a new tagline, “Let’s Make Excellent Happen,” and aggressively leverages the voice of Team New Balance athletes to bring the brand’s message to life. “This campaign is grounded in our running heritage yet reflects the innovation and passion of our brand, our products and our world-class athletes as we compete in today’s marketplace,” says Rob DeMartini, President and CEO at New Balance. The campaign’s creative work includes TV, print, digital advertising, engagement in NB’s on-line community, viral video content, in-store and event exposure. The cornerstone of the campaign is the “Pier 54” television spot. The spot celebrates “Excellent” happening at a track built by New Balance at Pier 54 in New York, where Team New Balance athletes celebrate competition as a way to inspire themselves and others to achieve new levels of performance. The spot features the song “On the 54” by The Dandelions.